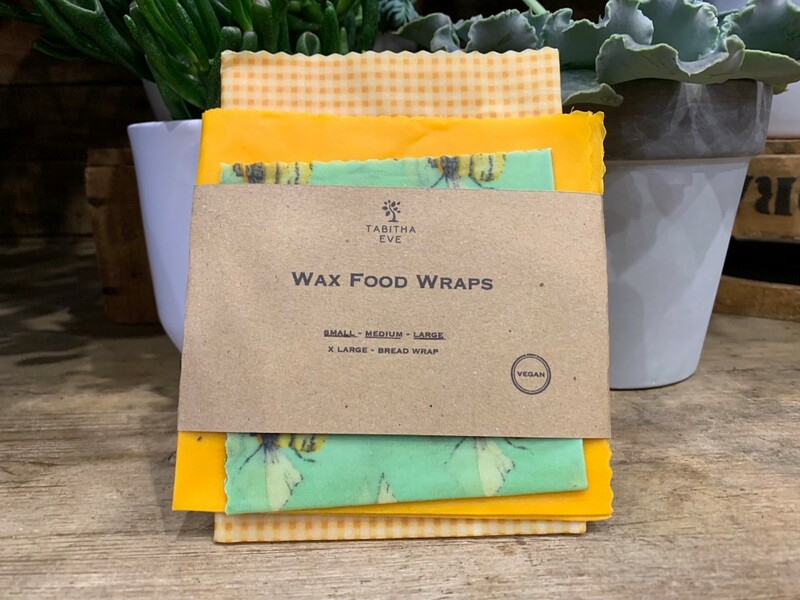 Perfect reusable, environmentally friendly, and fully compostable replacement for clingfilm or tin foil. They also make ideal house-warming gifts for your eco-conscious friends. 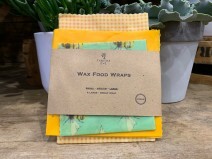 Wax food wraps are easily molded around items or dishes using the heat of your hands. To refresh you can lightly iron the wraps between two sheets of greaseproof paper. Once the wax has worn entirely from the cotton you can shred and place in compost bin. Each wrap is hand cut and so small variations in size may occur.